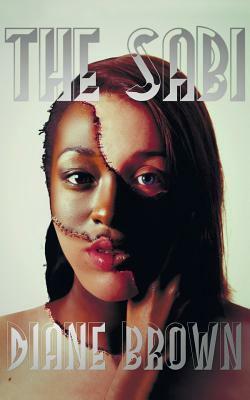 "The Sabi" is a true story of the life of a young woman. Who was born in South Africa, into a family of both African and European heritage when apartheid was in high gear. Her father, a generous hard working man; nonetheless was harsh and ruled his household with an iron hand. Time without numbers, he pushed the envelope by hitting his wife and daughter violently. Though, she attributed her father's attitude to the violent circumstances of that time. "I was born into a violent world. I grew up in violence. I live in a violent world. I experienced and witnessed violence in my home, in my school, on the playgrounds, in the streets, among siblings, in relationships, on the television, among parents and everywhere else. In South Africa violence is pandemic, and it is as common a phenomenon and part of our culture and psyche as boerewors, biltong and sunny skies." Even though, she was born into a family of both African and European descendant, her looks was more like that of an African woman. For that reason, she suffered from more violence and racism. Perhaps, more than her other siblings whose skin were not as dark or whose hairs were not as coarse as hers. Incidents that later on depressed her adulthood. "You are beaten for just being black?......But I couldn’t do anything about being black. All I had to do was get up in the morning and I was guilty". confidence and self-esteem, which led her to a failed suicide attempt. After which, fortunately, she began to see herself in a new light and, thought it was high time for a change. So, she started listening to her inner voice "The Sabi". I really enjoyed this novel. It is a heart-to heart narration of a journey towards self-discovery. An enlightening and easy read, though a difficult story. Not everyone could have the courage to open up the way Diane Brown did in "The Sabi". I learnt a lot about the apartheid regime, with respect to the coloured classification. Referring to people of mixed race who were forced to live separately. More often than not, members of the same family find themselves in different groups after the pencil test. A test whereby a pencil is inserted in the hair, and depending on how fast or slow it fell off, one was classified in a group or another. Sad and pathetic. It goes without saying that I highly recommend, especially if you want an account of this horrific regime on an individual basis. Thank you Diane for sending me copy of your novel. I really admire your strength and courage. Racism!!!! That has been our burden for a long time. I haven't been treated bad for being black but, when I think about what our forefathers went through, I feel very bad and so I can relate with Diane's story. Although, I will never know haw bad it feels to be different from other members of the family and also be treated differently. Nice review Mary, more ink to your pen. Thanks Karo. It is not easy to put some stories to writing. Diane did just well. Mary thank you for reading the book, As said it was a very difficult book to write and took all of me to write it. But I hope it sheds light to all races on issues of colorism, racism, violence and the intended and unintended consequences of race based societies. Unfortunately matters that are so important for so many people dont really get discussed openly. Maybe it is because it is painful for those who experienced and uncomfortable for those who might practice it. Thanks once again! The pleasure is mine, a topic worth writing about. A powerful and poignancy review, Mary. The book is even more. Thanks Afua for stopping in.